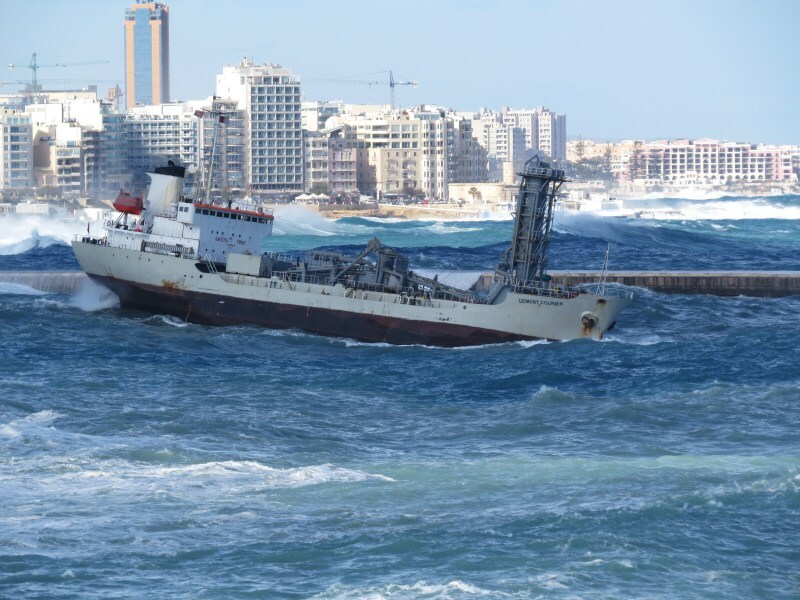 No Husni, usually the situation is totally different, but when a North Eastern wind rises to a force 8 gale , this is what happens, yet as you see the port is still open and mind you the vessel has just unloaded her cargo and she was riding high and light so she pitches and rolls. Thanks to everyone for the kind comments. Wish you a happy and prosperous 2018. In every day like this sea situation? Another great series of storm photos, keep them coming Mario. Amazing picture, thank you, Biscay! By the way, in my opinoin I'll be still mooring in port. This photo has been shown 2,360 times since it was added to the site.